Chris and Sherry did a great job extending a roof line between our garage and house creating a beautiful outdoor screen enclosure we will enjoy for years to come. Very professional! I was so happy with the job that was completed. Everyday, the entire property was completely cleaned of any debris. The workers were pleasant and very accommodating. The job was completed quickly and done exceptionally well. I would highly recommend them. that will protect your home from damage. The roof is a vital part of your house. Roof leaks can cause terrible damage inside. Properly executed repairs add years of additional service life for your home or business. It is obvious that good workmanship will improve the performance and life expectancy for your roof. The reason is simple, roofs in good condition last longer. 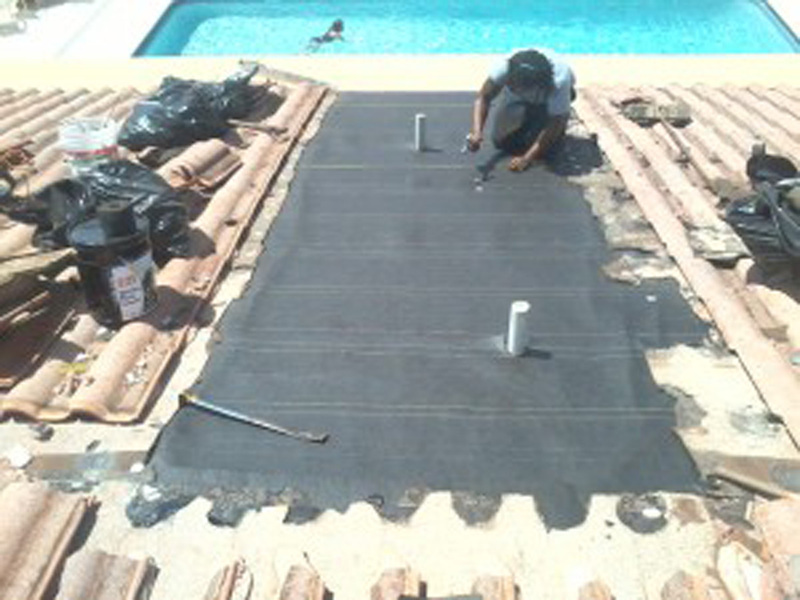 But, there is a big difference between a roof patch and a roof repair. 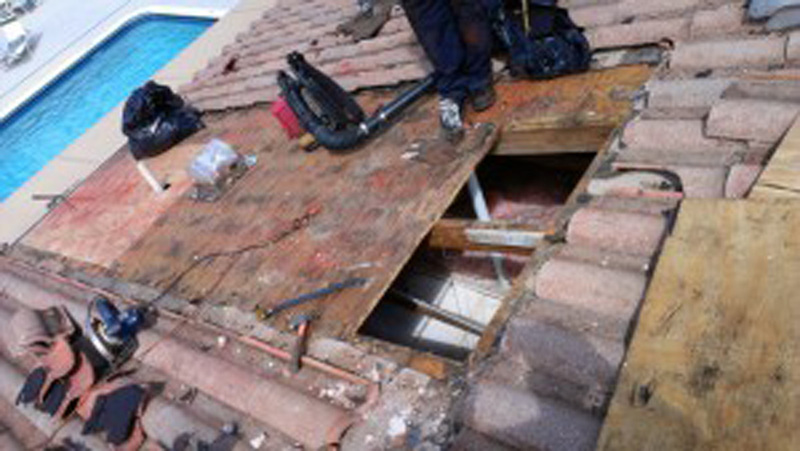 In this article we will discuss the necessary management of a roof leak repair. The best supervision required to ensure you get the most for your money. If your more interested in the techniques of roof leak repairs try one of these. 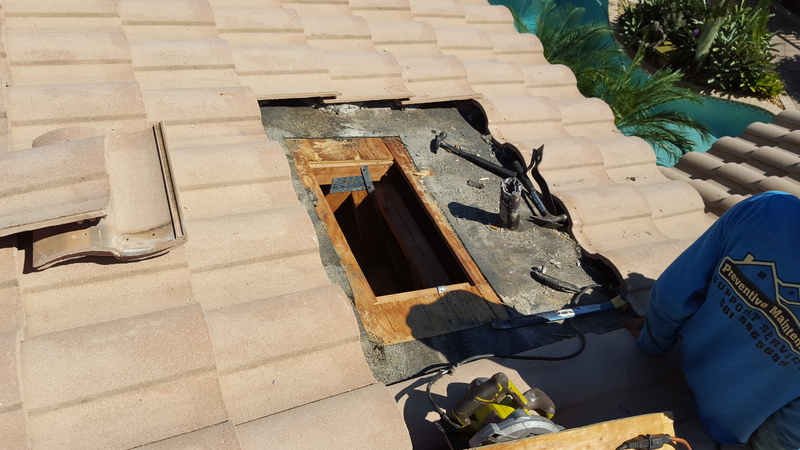 Most roofers just install a patch over the damaged area on the roof. They use self-adhering materials to make their work easy. We will not do that! Preventive Maintenance goal is to fix roofs methodically. By making a detailed assessment for the source of the damage. And providing top quality workmanship. 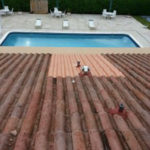 Preventive Maintenance will stop your leaking roof on the first try, guarantied. That is to say we will fix roof leak. Our repair will mitigate the risk of future problems. In order to make an excellent repair and improvement for our valued customer, we follow the ABCs of roofing maintenance as a guide. It's about being thorough and accurate with the work. Attention to detail is the ability to achieve thoroughness and accuracy when accomplishing a task. Quality repairs can only be truly successful when each step in broken down individually. A methodical process must be followed. 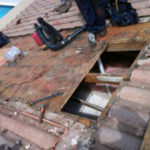 Each milestone in roof repair procedure is scrutinized. Its like using a microscope on each roof repair. Each item in the repair has a place on the check list. As an example, plywood must be nailed down each 4 inches. Its not enough the guys just eyeball it. We make the members of the crew actually get the tape out and measure it. Checking our work at this level ensures a successful roof leak repair every time. That is a set of criteria relating to the standard functioning and carrying out of operations in roofing. The accepted requirements followed by the members of the roofing industry. Provides an orderly adoption of application standards used by roofers. It is a crucial tool for developing and meeting industry goals. Our rules for repairs are not ignored under any circumstance. At no time can a repair crew call the office and suggest an alternate method. The guys do not have the authority to change the strategy. Our method is simple. Tear the roof off to the exposed substrate. Keep tearing off until they get to clean wood. Repair the substrate. And finally, install new roofing materials that are of better quality than the existing. Corner cutting is not allowed during the installation of the new materials is allowed. They must follow the manufactures instillation instruction to a tee We meet all Florida Building Code requirements. There are many types of roofing systems and therefore, many kinds of repairs. Some roofing companies and roofing crews specialize in one kind or another. But a good organization is well versed in all types. We are that company. All repairs have a systemic relationship that break down into 6 common milestones. You Googled for roofers and find us a suitable match. Our estimator arrives at your front door with a smile and his card. You show him the leak. It could be a stain on the ceiling. Maybe the ceiling fell down. The estimator does and interior and exterior inspection. He may or may not crawl in your attic. He describes what is wrong and how it will be fixed when finished. Most of time he will share a ballpark estimate for the cost. Our qualified roof estimator will return to our offices where he will prepare and email a formal proposal. 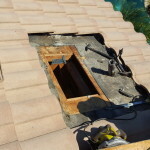 You choose to go with us because you are supremely confident that we are the best roofing company for the job and that the workmanship will be perfect. We receive a signed contract and deposit and put you on the work schedule. In about a week our superbly qualified crew shows up to make the repair. They will have discussed your project at our office . A prepared plan of action will unfold. The crew chief will crawl in your attic and alert the team waiting on the roof where to start. I have read competitions websites. Some claim their secret to success in finding the leak source to be a garden hose test. They espouse of the magic witnessed by squirting water all over the roof. This author is not impressed. With thirty plus years experience finding roof leaks, a garden hose have never been helpful. Your hose bib will provide at most 3 gallon of water per minute. It’s simply not enough water to emulate a healthy rain shower in the Boca Raton area. With the leak source identified, now begins the hard work. 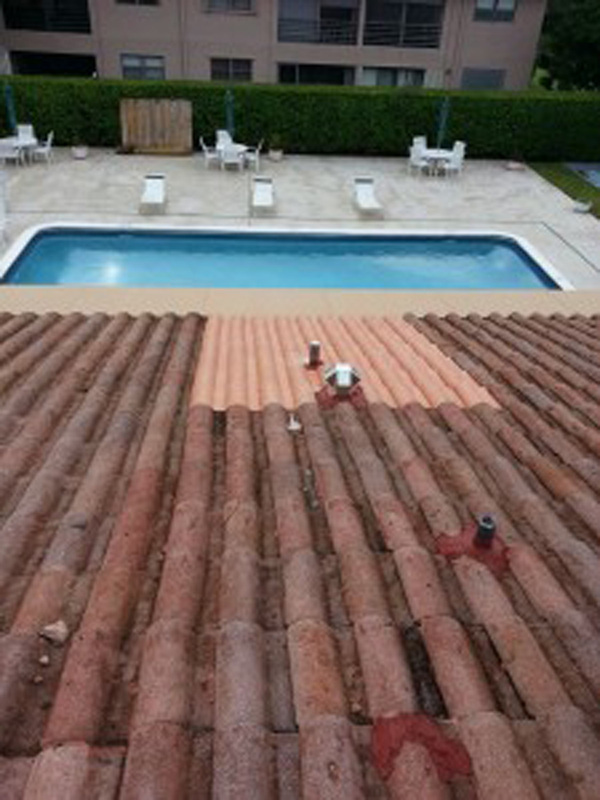 All roofing systems in South Florida are installed to resisted 180 mile per hour winds. They don’t come off easy. There are hundreds of fasteners holding them down. Others fully adhered. The roofers use spays, hammers, axes, crow bars and all kinds of tools to strip off the roof. The newly exposed substrate offers a map to the exact source of the leak. This simply because the water leaves stains. Demolition stops when no more stains are detected. Vwala, problem solved. Roof leaks persist for sometime before they appear on your ceiling. There is almost always rotten wood to be replaced. Roofing crews are proficient rough carpenters. Plywood needs changing. Damaged truss members repaired. New pieces of wood 2” x 4” nailed over the damaged area. This is referred to as “sistering” the truss. It’s important the new wood extend a few feet past each end of the rotten wood. Basically, a new roof will be installed in the repair area. This starts with underlayment. The anchor sheet that will form the base for the new repair. A base sheet will be nailed or glued to the now exposed sheathing. This is tucked under the roofing left above so water over the new repair and not in to the building. 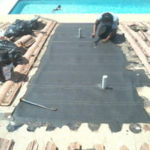 On this is installed a surfacing layer. It is sealed around the perimeter. On all of this the final layer of whatever roofing system is installed. It could be tiles, shingle, metal. Any number of roof system types. With the roofing finished it’s time to make your home look normal again. Nails and such need to be removed from your grass and landscape. Debris removed from your roof. There might be insulation on the floor of the room our guy entered the attic. When we leave the home needs to be left in a “broomed clean condition”.